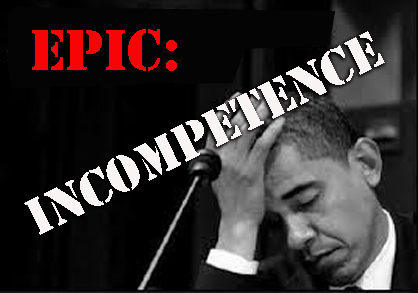 The fruits of epic incompetence. By Charles Krauthammer, Published: September 12. The mind reels, but there’s more. We must respond — but not yet. This “Munich moment” (Kerry again) demands first a pause to find accommodation with that very same toxin-wielding monster, by way of negotiations with his equally cynical, often shirtless, Kremlin patron bearing promises. The promise is to rid Syria of its chemical weapons. The negotiations are open-ended. Not a word from President Obama about any deadline or ultimatum. And utter passivity: Kerry said hours earlier that he awaited the Russian proposal. Why? The administration claims (preposterously, but no matter) that Obama has been working on this idea with Putin at previous meetings. Moreover, the idea was first publicly enunciated by Kerry, even though his own State Department immediately walked it back as a slip of the tongue. Putin doesn’t care one way or the other about chemical weapons. Nor about dead Syrian children. Nor about international norms, parchment treaties and the other niceties of the liberal imagination. He cares about power and he cares about keeping Bashar al-Assad in power. Assad is the key link in the anti-Western Shiite crescent stretching from Tehran through Damascus and Beirut to the Mediterranean — on which sits Tartus, Russia’s only military base outside the former Soviet Union. This axis frontally challenges the pro-American Sunni Arab Middle East (Jordan, Yemen, the Gulf Arabs, even the North African states), already terrified at the imminent emergence of a nuclear Iran. The hinge of the entire Russian strategy is saving the Assad regime. That’s the very purpose of the “Russian proposal.” Imagine that some supposed arms-control protocol is worked out. The inspectors have to be vetted by Assad, protected by Assad, convoyed by Assad, directed by Assad to every destination. Negotiation, inspection, identification, accounting, transport and safety would require constant cooperation with the regime, and thus acknowledgment of its sovereignty and legitimacy. 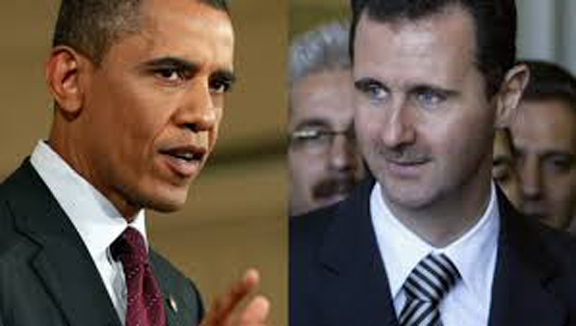 So much for Obama’s repeated insistence that Assad must go. Indeed, Putin has openly demandedthat any negotiation be conditioned on a U.S. commitment to forswear the use of force against Assad. On Thursday, Assad repeated that demand, warning that without an American pledge not to attack and not to arm the rebels, his government would agree to nothing. This would abolish the very possibility of America tilting the order of battle in a Syrian war that Assad is now winning thanks to Russian arms, Iranian advisers and Lebanese Hezbollah shock troops. Putin thus assures the survival of his Syrian client and the continued ascendancy of the anti-Western Iranian bloc. And what does America get? Obama saves face. As for the peace process, it has about zero chance of disarming Damascus. We’ve spent nine years disarming an infinitely smaller arsenal in Libya — in conditions of peace — and we’re still finding undeclared stockpiles. Yet consider what’s happened over the last month. Assad uses poison gas on civilians and is branded, by the United States above all, a war criminal. Putin, covering for the war criminal, is exposed, isolated, courting pariah status. And now? Assad, far from receiving punishment of any kind, goes from monster to peace partner. Putin bestrides the world stage, playing dealmaker. He’s welcomed by America as a constructive partner. Now a world statesman, he takes to the New York Times to blame American interventionist arrogance — a.k.a. “American exceptionalism” — for inducing small states to acquire WMDs in the first place. And Obama gets to slink away from a Syrian debacle of his own making. Such are the fruits of a diplomacy of epic incompetence. Editor’s note: This post is being updated throughout the day. Be sure to scroll to the bottom for the most recent videos, pictures, and information. While the bikers heading to Washington, D.C., for the “2 Million Bikers to D.C.” rally to commemorate 9/11 (and counter the million Muslim march) aren’t expected into the nation’s capital until around 11 a.m., pictures and video are still surfacing of them making their way. The local NBC station in D.C. says riders will be first hitting the area around 9 a.m. before reaching their ultimate destination a couple hours later. Blaze reader Joe Roberts, who says he’s a retired Marine Corps master sergeant, sent these pictures in as he’s waiting to start his ride. According to local outlet WTOP-RADIO, it appears the bikers may not be actually entering the capital as a massive group. They reportedly will not go into D.C. as a large group. “There are so many motorcycles that trying to go through Washington, D.C., would not have worked,” Eric Zern, a ride organizer from Hagerstown, MD, told the station. Instead, the station says the group will travel one time on the Outer Loop of the Capital Beltway from Prince George’s County to Montgomery County and then into Virginia. They’ll then return to where they started, the Harley Davidson story in Fort Washington, MD. However, individual riders can decide if they’d like to divert themselves into D.C.
You can try and capture the arrival via DC’s extensive traffic camera system. Support for President Obama’s call for military airstrikes in Syria is sliding on Capitol HIll. 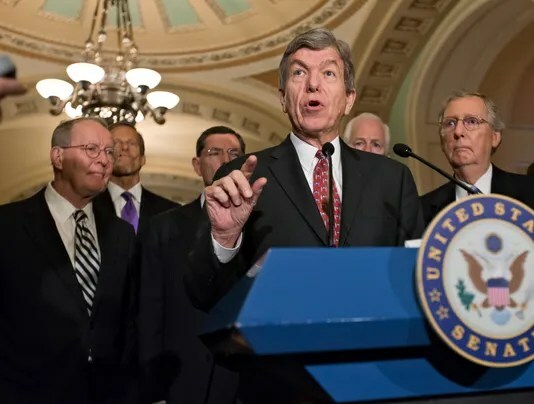 WASHINGTON — President Obama’s push for congressional approval for military airstrikes in Syria ran aground Monday, forcing Senate Majority Leader Harry Reid, D-Nev., to delay a procedural vote as opposition builds among senators in both parties. Six senators, including five Republicans and one Democrat, announced Monday they would vote against a resolution authorizing the use of force — a strong indication that the administration’s efforts to build bipartisan support have been ineffective. “What we need to do is make sure the president has the opportunity to speak to all 100 senators and all 300 million American people before we do this,” Reid said. “I have no idea what’s going on. It’d be great if the Russians could convince Assad to turn over his chemical weapons to the international community. That’d be a terrific outcome. I just am very dubious and skeptical,” said Sen. Lindsey Graham, R-S.C. Comments made Monday in London by Secretary of State John Kerry describing the military effort as “unbelievably small” also rankled lawmakers. Graham said Kerry “undercut everything the president has been doing for the last couple of days” to build support. The rapid clip of senators announcing their opposition on Monday raised serious doubts that the president would be able to muster the necessary support in either the House or Senate. The GOP-led House is not likely to take up a resolution unless the Senate can pass it first. A final Senate vote was expected this weekend, but Reid’s decision to delay the formal debate puts the schedule in flux. Briefings by top administration officials and a weekend conversation with Secretary of Defense Chuck Hagel were not enough to sway Alexander. “I see too much risk that the strike will do more harm than good by setting off a chain of consequences that could involve American fighting men and women in another long-term Middle East conflict,” he said. The president may look incompetent on Syria. But his behavior fits his strategy to weaken America abroad. It is entirely understandable that Barack Obama’s way of dealing with Syria in recent weeks should have elicited responses ranging from puzzlement to disgust. Even members of his own party are despairingly echoing in private the public denunciations of him as “incompetent,” “bungling,” “feckless,” “amateurish” and “in over his head” coming from his political opponents on the right. For how else to characterize a president who declares war against what he calls a great evil demanding immediate extirpation and in the next breath announces that he will postpone taking action for at least 10 days—and then goes off to play golf before embarking on a trip to another part of the world? As if this were not enough, he also assures the perpetrator of that great evil that the military action he will eventually take will last a very short time and will do hardly any damage. Unless, that is, he fails to get the unnecessary permission he has sought from Congress, in which case (according to an indiscreet member of his own staff) he might not take any military action after all. Getty Images President Obama on Friday at the G-20 economic summit in St. Petersburg, Russia. Yet if this is indeed the pass to which Mr. Obama has led us—and I think it is—let me suggest that it signifies not how incompetent and amateurish the president is, but how skillful. His foreign policy, far from a dismal failure, is a brilliant success as measured by what he intended all along to accomplish. The accomplishment would not have been possible if the intention had been too obvious. The skill lies in how effectively he has used rhetorical tricks to disguise it. So far as domestic affairs were concerned, it soon became clear—even to some of those who had persuaded themselves that Mr. Obama was a moderate and a pragmatist—that the fundamental transformation he had in mind was to turn this country into as close a replica of the social-democratic countries of Europe as the constraints of our political system allowed. But foreign policy was another matter. As a left-wing radical, Mr. Obama believed that the United States had almost always been a retrograde and destructive force in world affairs. Accordingly, the fundamental transformation he wished to achieve here was to reduce the country’s power and influence. And just as he had to fend off the still-toxic socialist label at home, so he had to take care not to be stuck with the equally toxic “isolationist” label abroad. For this fulfillment of his dearest political wishes, Mr. Obama is evidently willing to pay the price of a sullied reputation. In that sense, he is by his own lights sacrificing himself for what he imagines is the good of the nation of which he is the president, and also to the benefit of the world, of which he loves proclaiming himself a citizen. The problem for Mr. Obama is that at least since the end of World War II, Americans have taken pride in being No. 1. Unless the American people have been as fundamentally transformed as their country is quickly becoming, America’s decline will not sit well. With more than three years in office to go, will Mr. Obama be willing and able to endure the continuing erosion of his popularity that will almost certainly come with the erosion of the country’s power and influence? And so we can only pray that the hole he will go on digging will not be too deep for his successor to pull us out, as Ronald Reagan managed to do when he followed a president into the White House whom Mr. Obama so uncannily resembles. Mr. Podhoretz was the editor of Commentary from 1960-95. His most recent book is “Why Are Jews Liberals?” (Doubleday, 2009). THE MILITARY IS EMBARRASSED AND DISMAYED BY OBAMA’S AMATEURISM. The tapes tell the tale. Go back and look at images of our nation’s most senior soldier, Gen. Martin Dempsey, and his body language during Tuesday’s Senate Foreign Relations Committee hearings on Syria. It’s pretty obvious that Dempsey, chairman of the Joint Chiefs of Staff, doesn’t want this war. As Secretary of State John Kerry’s thundering voice and arm-waving redounded in rage against Bashar al-Assad’s atrocities, Dempseywas largely (and respectfully) silent. Dempsey’s unspoken words reflect the opinions of most serving military leaders. By no means do I profess to speak on behalf of all of our men and women in uniform. But I can justifiably share the sentiments of those inside the Pentagon and elsewhere who write the plans and develop strategies for fighting our wars. After personal exchanges with dozens of active and retired soldiers in recent days, I feel confident that what follows represents the overwhelming opinion of serving professionals who have been intimate witnesses to the unfolding events that will lead the United States into its next war. They are embarrassed to be associated with the amateurism of the Obama administration’s attempts to craft a plan that makes strategic sense. None of the White House staff has any experience in war or understands it. So far, at least, this path to war violates every principle of war, including the element of surprise, achieving mass and having a clearly defined and obtainable objective. They are repelled by the hypocrisy of a media blitz that warns against the return of Hitlerism but privately acknowledges that the motive for risking American lives is our “responsibility to protect” the world’s innocents. Prospective U.S. action in Syria is not about threats to American security. The U.S. military’s civilian masters privately are proud that they are motivated by guilt over slaughters in Rwanda, Sudan and Kosovo and not by any systemic threat to our country.They are outraged by the fact that what may happen is an act of war and a willingness to risk American lives to make up for a slip of the tongue about “red lines.” These acts would be for retribution and to restore the reputation of a president. Our serving professionals make the point that killing more Syrians won’t deter Iranian resolve to confront us. The Iranians have already gotten the message.Our people lament our loneliness. Our senior soldiers take pride in their past commitments to fight alongside allies and within coalitions that shared our strategic goals. This war, however, will be ours alone.They are tired of wannabe soldiers who remain enamored of the lure of bloodless machine warfare. “Look,” one told me, “if you want to end this decisively, send in the troops and let them defeat the Syrian army. If the nation doesn’t think Syria is worth serious commitment, then leave them alone.” But they also warn that Syria is not Libya or Serbia. Perhaps the United States has become too used to fighting third-rate armies. As the Israelis learned in 1973, the Syrians are tough and mean-spirited killers with nothing to lose.Our military members understand and take seriously their oath to defend the constitutional authority of their civilian masters. They understand that the United States is the only liberal democracy that has never been ruled by its military. But today’s soldiers know war and resent civilian policymakers who want the military to fight a war that neither they nor their loved ones will experience firsthand. Civilian control of the armed services doesn’t mean that civilians shouldn’t listen to those who have seen war. Our most respected soldier president, Dwight Eisenhower, possessed the gravitas and courage to say no to war eight times during his presidency. He ended the Korean War and refused to aid the French in Indochina; he said no to his former wartime friends Britain and France when they demanded U.S. participation in the capture of the Suez Canal. And he resisted liberal democrats who wanted to aid the newly formed nation of South Vietnam. We all know what happened after his successor ignored Eisenhower’s advice. My generation got to go to war.Over the past few days, the opinions of officers confiding in me have changed to some degree. Resignation seems to be creeping into their sense of outrage. One officer told me: “To hell with them. If this guy wants this war, then let him have it. Looks like no one will get hurt anyway.”Soon the military will salute respectfully and loose the hell of hundreds of cruise missiles in an effort that will, inevitably, kill a few of those we wish to protect. They will do it with all the professionalism and skill we expect from the world’s most proficient military. I wish Kerry would take a moment to look at the images from this week’s hearings before we go to war again. Stefano Rellandini / ReutersPope Francis greets Catholic faithful during his arrival at Copacabana beach in Rio de Janeiro, July 25, 2013. Pope Francis has written a letter to Russian President Vladimir Putin, host of the G-20 summit that President Obama is attending, urging world leaders to oppose a military intervention in Syria. Cardinal Dolan and leaders of the United States Conference of Catholic Bishops followed the Pope’s lead and wrote to every member of Congress today urging them to vote against military intervention in Syria. Yesterday the USCCB also wrote to President Obama, reminding him that the Pope and Middle Eastern Bishops “have made it clear that a military attack will be counterproductive, will exacerbate an already deadly situation, and will have unintended negative consequences.” Dolan also asked Catholics to urge their representatives in Washington to vote against a military strike. Pope Francis’ response to Syria is in line with how his predecessors handled international conflicts. Pope Benedict XVI expressed concerns over the military intervention in Libya. Pope John Paul II continually and strongly spoke out against the US-led war in Iraq. The US and the Vatican squared off during the 1989 Panama invasion when dictator Manuel Noriega took refuge in the Vatican embassy. US seals tried to blast Noriega out with deafening levels of rock music and only stopped the “rock-’n’-roll offensive,” as TIME called it, after the Vatican complained to President George HW Bush. Pope John Paul II kept quiet on the crisis, and left it to the hands of Vatican officials.